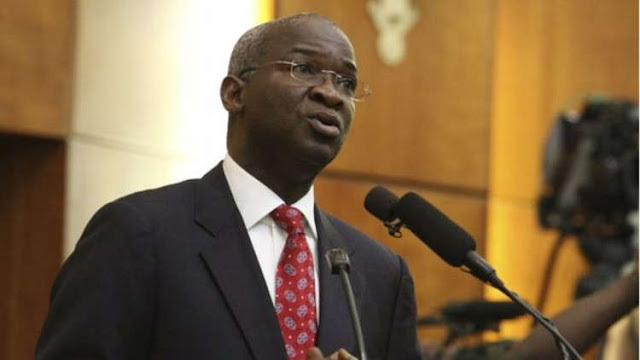 Babatunde Fashola, minister for power, works and housing, has asked those critical of the borrowings of President Muhammadu Buhari’s government to tell the current administration how to raise funds. Speaking with reporters during a two-day retreat in Sokoto, Fashola said the delay of the 2018 budget by the national assembly made the ministry resort to borrowing to complete abandoned projects. He said the Buhari administration deserves commendation for completing many abandoned projects, adding that many projects had been abandoned for lack of funds before Buhari came into power. “Buhari’s government revived the contracts that were stopped. If a contractor does not get paid, there is no magic to getting the work completed. He will have no alternative than to stop,” he said. “You don’t expect the work that would have been done in decades to be completed within three and a half years. “They (national assembly) are guilty of the slow pace of work. They shut the NASS session for two months and delayed the passage of budget for close to 9 months. “We had to borrow through the Ministry of Finance and invest on road to enhance productivity, reduce journey, cost and time for business in order to generate income and wealth creation to payback the loans. Atiku Abubakar, presidential candidate of the Peoples Democratic Party (PDP), had faulted the borrowing plan of the government. He had challenged Buhari to explain how his government spent “N16 trillion in three years”.